Why did Shoghi Effendi, the head of the Baha’i Faith, despite having a multitude of other work and responsibilities, devote a very large amount of time to translating and annotating a voluminous history of the Babi movement, The Dawn-Breakers: Nabil’s Narrative of the Early Days of the Baha’i Revelation (published in 1932)? This paper examines Shoghi Effendi’s leadership of the Baha’i Faith, his plan for establishing an organisational structure for the Baha’i community and spreading it to all parts of the world so as to be able to have an adequate basis for the Universal House of Justice. 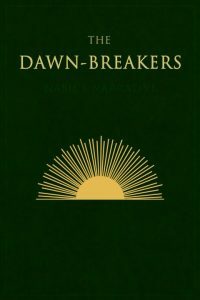 This paper suggests that the publication of The Dawn-Breakers was a necessary step in Shoghi Effendi’s plan for the growth and development of the Baha’i Faith. He needed to establish, particularly in the West, a communal remembrance of the early history of the Baha’i Faith — a myth of heroism and sacrifice — as a prelude to asking the Baha’is, in particular the Western Baha’is, to make the sacrifices necessary in carrying out the planned expansion of the Baha’i Faith to new parts of the world. The talk examines the writings of Shoghi Effendi to bring to light the manner in which he used The Dawn-Breakers, his exhortations to the North American Baha’i community to study the book, and his creation of the idea that the North American Baha’is were the “spiritual descendants of the dawn‑breakers.” This in turn created the enthusiasm and readiness among the American Baha’is for a series of planned expansions of the Baha’i Faith in which they were asked to leave their comfortable homes for an often remote “pioneer post” in less developed countries where they would face difficult and uncomfortable circumstances. Dr. Momen is the author of numerous books about the Baha’i Faith, its historical development, and its relationship to Hinduism, Buddhism, and Islam. He has published scores of articles about Baha’i subjects and has spoken about the Faith at many academic conferences. He has been an editor of the Baha’i Encyclopedia project and is currently an editor of the Baha’i Studies Review, published in the United Kingdom, where he lives. He is a medical doctor by profession, now retired. 2 Pings/Trackbacks for "Moojan Momen, “The Re‑Creation and Utilization of a Community’s Memories: Shoghi Effendi and Baha’i History”"